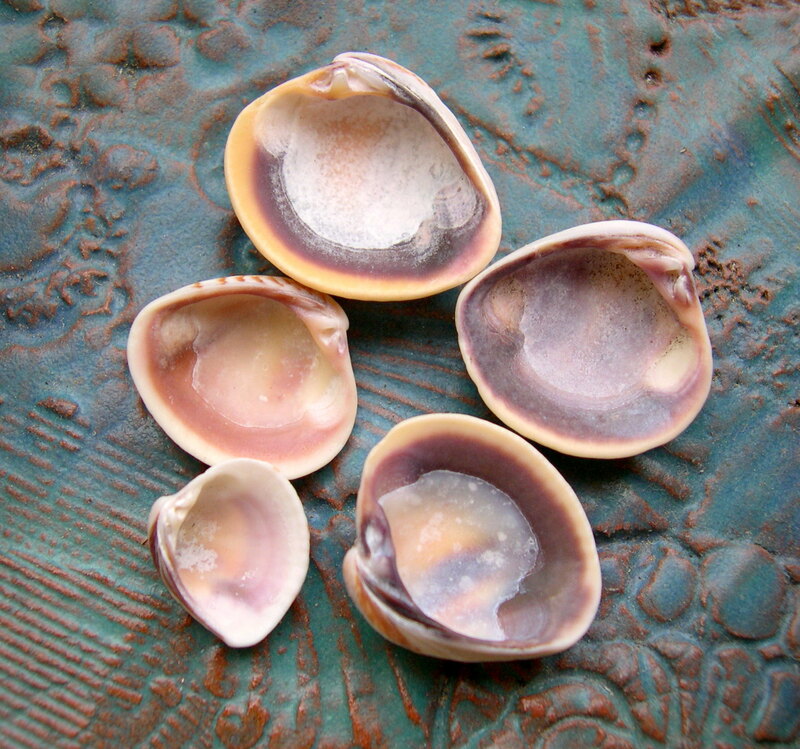 In my collection, the little white clam shells with brown splotches are named “Cross-barred Venus” (Chione cancellata). They are fairly small – up to 1 3/4 inches (4.4cm) long, and are easy to identify because of the ridges that run concentrically around the shell over the splotchy brown markings. 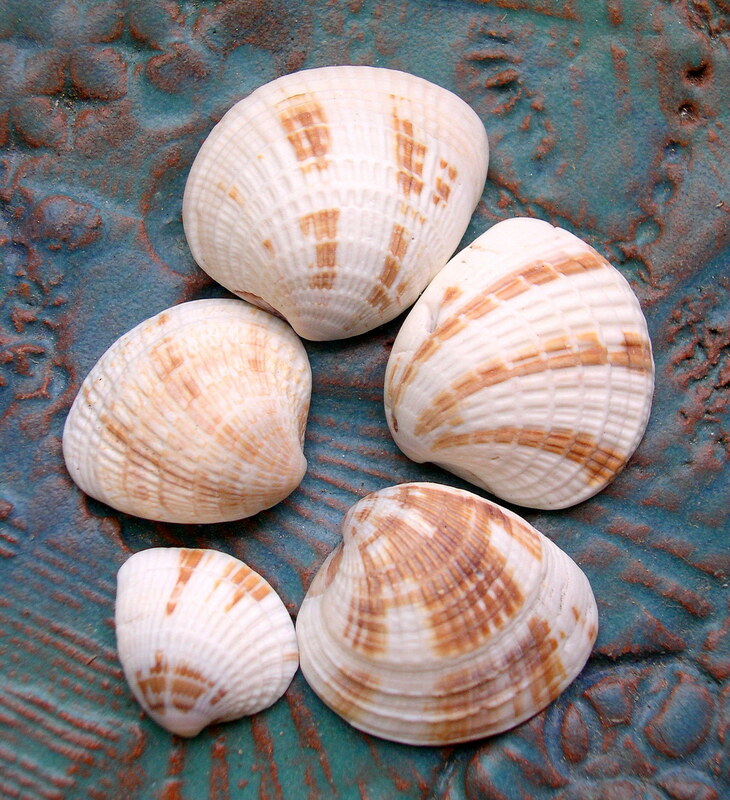 The lines can sometimes be very prominent as you can see in some of Patricia B. Mitchell’s shell collection. And not all Venus shells will have the brown markings. The underside of the shell will most likely have some purple color to it. They are found from North Carolina to Brazil.